On a university campus, the term “entrepreneurship” includes as set of teaching activities and the support infrastructure that supports new venture creation. In the past few years, there has been a global explosion of activity in this area at the world’s leading universities. Indeed, entrepreneurship as a topic is quickly entering the “mainstream” in universities, as some of the most inspiring activities, alumni, and faculty have connections with entrepreneurship. There is now a central, top-down message from the President of the University of California system identifying entrepreneurship as an activity to be emphasized at universities. Most recently, the vice chancellor of research at UC Berkeley proclaimed that the research mission of the university is strengthened, and not diluted, by the faculty who start new ventures from derivatives of their research. 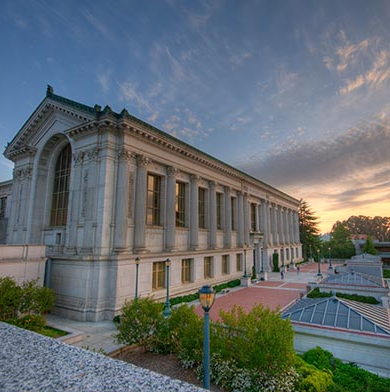 See this blog post and news of the $2.2M grant award at UC Berkeley. This does not mean, however, that the “entrepreneurship code” has been completely cracked, either at UC Berkeley, or anywhere else. The desire and will exists, but university entrepreneurship is still evolving. This article is intended to communicate a number of the patterns that we have seen and foresee in the future. Consider two companies: one has a research facility where all the “new” things are happening, and yet the rest of the firm is really still stodgy. Meanwhile, in the other, innovation is uniformly spread — every part of the firm has energy, excitement, and innovation in the culture. There is a similar issue in many entrepreneurship centers and programs today. A small set of people at each institution are continuously testing new teaching methods or hosting new venture teams, while large portions of each campus carry on as a collection of unconnected silos with varying diffusion of innovation mindsets and approaches to their respective activities. The fact is that the mission of the entrepreneurship center at every university will have to keep evolving. The new mission will be to allow a dispersed adoption of entrepreneurially-oriented teaching methods, approaches, and resources to every other corner of the university. Campus faculty should be encouraged to learn innovation approaches and apply them to every possible discipline on the campus. By the way, from a teaching perspective, we have already come a long way. Teaching this topic originally started by “making students write the business plans that could never have worked.” Then it evolved to “design thinking where making is part of the process” and then to “lean models for validation and market fit” and then “challenge-based approaches where student learn from emerging problems.” And now we have added the “behaviors and psychology of innovation.” As educators, we have finally captured the technical and social journey that every single person takes when they want to create something new, no matter where they are in the world. We have also learned that the walls of the university have to be opened up to the outside world for universities to be effective. Increasing this connectivity means engaging outside speakers, experts, visiting scholars, and faculty who “are already” entrepreneurs and/or leaders on the boards of external companies. The quality of the networks and connections at any institution or program is probably the single biggest factor in success of the institution overall. So What is Next for Campus Entrepreneurship? It’s time for the entrepreneurship center to stop measuring success by the number of directly engaged students and faculty, and instead to provide the resources and success examples to the entire campus. Success will now be defined by bringing elements of the entrepreneurship and innovation process into even the most removed project course from astronomy to zoology (i.e. courses from A to Z). First, curriculum should and will continue to become even more mainstream. The concepts in modern entrepreneurship and innovation can be taught in just about any project class on any campus. The topics of entrepreneurial behaviors, path of innovation, agility, and multi-disciplinary objectives should be developed broadly, not only for those who want to create ventures. Many faculty have inherent skills to add these elements into their existing classes. The core teaching programs of the university are all becoming entrepreneurially-oriented, and by allowing adoption, spread and scale of these teaching models, they will have reach across the entire institution. We also envision the evolution of a new Core Curriculum for the 21st century which sets up every student across every discipline with the fundamental mindset, logic processes, and data awareness for overall success in this new century. We do not believe that entrepreneurship education will be the core curriculum, but in collaboration with other fields and adding what we have learned so far in entrepreneurship education, we feel it will influence the new basis for education. When it comes to direct support of venture activity, we again envision an integration and diffusion into the research centers and the other core competence of all universities. It does not seem likely that there will be just one place where ventures will be created or accelerated. The more likely paradigm is that every research domain will have a vertical integration of research, dissemination, and its own facility or at least network to support company creation. This new landscape looks like a large number of both general and specialized venture oasis points. Some will be vertically integrated with biology labs, AI labs, physics, etc. while others may stand alone to offer more general services. And the general-services types of accelerators should already start thinking about the services they can provide to the emerging field of specialized accelerators. One point of contrary guidance, however, is that if your campus is still developing its initial ecosystem, then starting with a single accelerator and possibly even in collaboration with the local business community will make more sense. The initial stage of development simply requires density of people, projects, and events. In later stages, the ecosystem should, must, and will evolve into a decentralized mesh of entrepreneurial activity. Today, universities are drowning in lower quality mentors and networks. This is probably one of the most complex issues to deal with in the evolution of entrepreneurship on any university campus. On one hand, opening the walls of the institution is critical for success of the institution. And, further, the metrics that apply to successful students and faculty do not help gauge the entrepreneur’s or investor’s quality. Past measures of success are not always the best guide either. However, we do have a state today where many mentors are low in quality, possibly less capable of starting a new venture than the students they advise. Entrepreneurship centers and accelerators are magnets for people who have more to gain and less to offer. As yet, we don’t know the best vetting mechanism. But just as in the case of all other roles from student to faculty in a university, an acceptance and filtering mechanism has been developed over time. The same will need to be done for entrepreneurial mentors and advisors, and still in a decentralized manner through the university. The quality of mentoring and advising should advance to become equally tested as quality of the students and faculty are today, but in a measure system that is appropriate for supporting entrepreneurship. Tenure guidelines will eventually need to include entrepreneurial output. To some, this will appear as blasphemy and to others this is simply obvious. Certainly, not every promotion case needs to include venture output, but if we have evolved as a university system to include works of art and performance, then certainly we will evolve to the point that high-impact research-based ventures will get varying amounts of credit in the tenure process. Most likely language changes in the measurement process will be added in the form of “research translation” or “research deployment.” The idea is that the Institution should provide credit not only for research “conceptualization” but in addition for “doing and creating” which includes many forms of deployment. This may include a new venture, new social impact activity (NGO), and/or a new initiative in an existing organization. There will of course be caveats here. First, faculty who spend time on ventures always take a risk because for some period of time, the focus of the faculty member is stretched and it’s very possible that the resulting venture may not happen. Second, not all ventures have the same level of significance in impact. A fair method to evaluate the significance of research-based ventures is still required. Still, the argument has support. If Google had been left as a research paper, the world would not benefit from the research with the same positive impact. And moreover, research faculty who start ventures are also prolific in publication. Indeed, the venture process can be considered as simply one more optional or available tool for increasing the societal impact of research. Entrepreneurship education and programs already have high visibility and strong support from political actors, alumni, and students. In the next phase, these programs should and will adapt to become increasingly mainstream, which means they must diffuse and integrate more with the fabric of each university. As we do this, new challenges related to faculty rewards and mentor selection will also surface. An important point not addressed here is that research support will also require integration with entrepreneurship programming.